The sacred Japanese island of Miyajima (Itsukushima), which lies off the coast near Hiroshima, is famous for its “floating” torii gate and shrines. However, Miyajima also has a 535-m-high mountain, Mount Misen, that features small temples, a waterfall, and great views at the top. To me, hiking Mt Misen and taking in the great views at the top was my favorite part of visiting Miyajima, as opposed to seeing the “floating” torii gate. There are several routes to Mt Misen, however I chose to take the one at the back of Daisho-in Temple, which lies at the foot of the mountain. Note if you don’t want to hike, then you can take a cable car up. Daisho-in Temple is worth a visit before you hike, as it features attractive halls, a cave shrine, and dozens of small stone Buddhas. Once I got on the trail, it was straightforward. As I continued upwards, I passed a waterfall that flows into a rocky stream. There are vantage points along the way where I was able to look down at the floating torii gate, which will look very tiny. I also saw that much of the island is heavily forested, which isn’t surprising given the island’s population numbers about 2,000 and there isn’t any industry. I also encountered signs urging you to watch out for vipers or “mamushi – deadly poisonous snake.” Good thing I didn’t encounter any. There is also a notable man-made stone stream structure from where water flows out. Near the top, there are a few diverging paths but just remember to stay on the main trail. 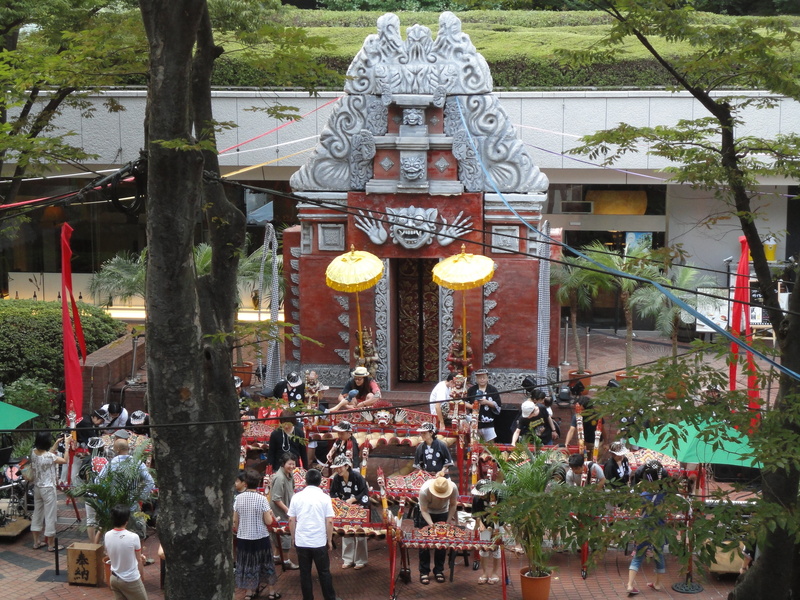 There’s a temple hall where you can take a breather. 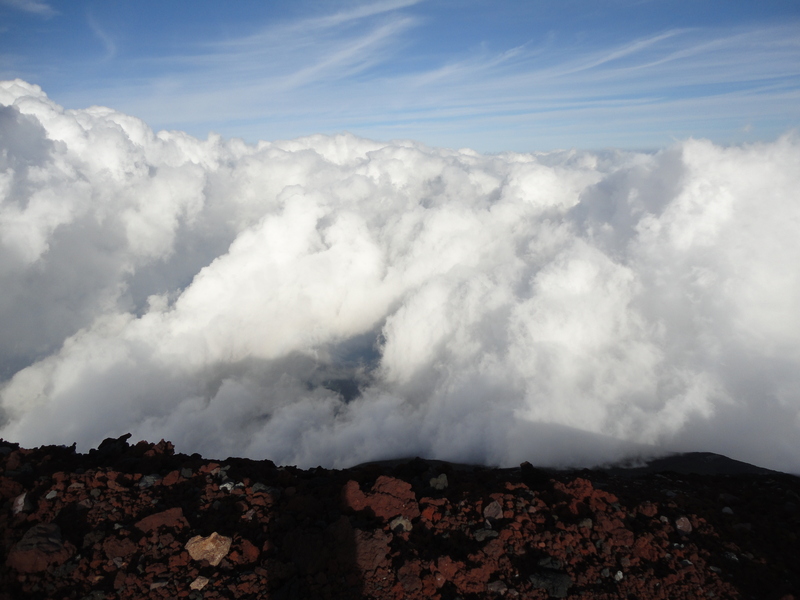 When I reached the summit, I enjoyed really beautiful views of the Inland Sea, the island, and the mainland. I’d say the views of the sea were among the top three I’ve ever seen in my life. 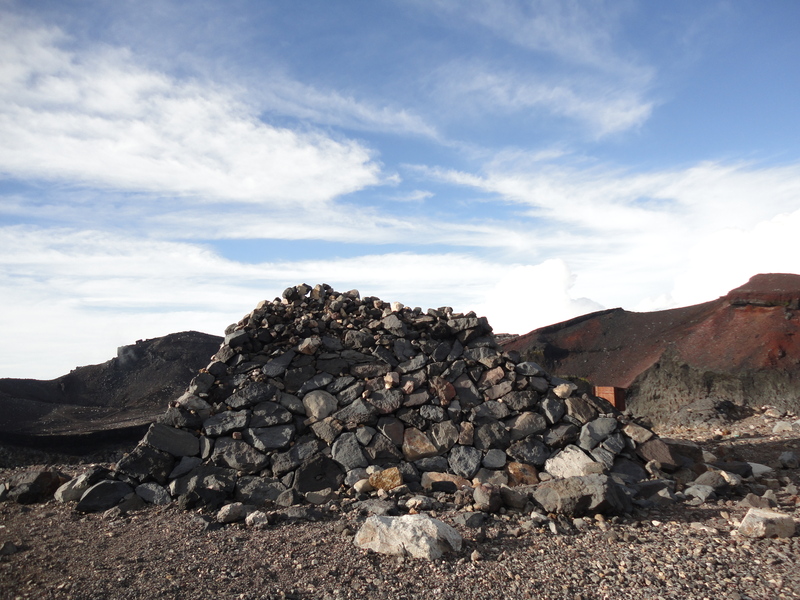 The observatory at the summit features benches and washrooms. It’s possible to hike back down but I decided to take the cable car instead. 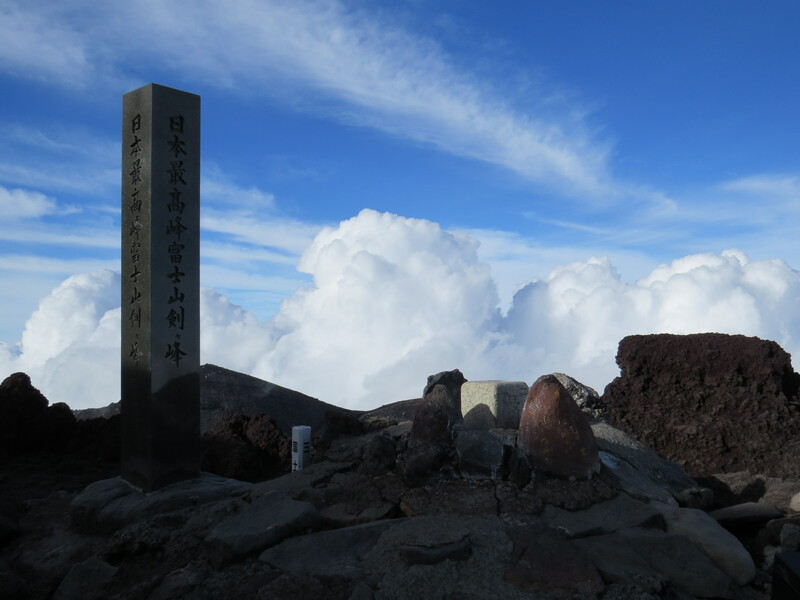 The Shishiiwa cable car station is a little further away from the summit, about 15-20 minutes, and there are fine views there as well. Near the city of Hiroshima lies the holy island of Itsukushima or Miyajima, as it’s more commonly called. Tiny and sparsely populated, Miyajima is one of Japan’s most well-known destinations as it is where the famous “floating” torii gate lies, in the waters just off the coast of Itsukushima Shrine. Also called the “Island of the Gods,” Miyajima has been a place of worship for over a thousand years. You’ve probably seen this giant orange “floating” torii gate in photos or blogs, as I did before I came to the island. However, Miyajima also features several temples, in addition to Itsukushima Shrine, and a 500m-high mountain that provides great views of the island and the Inland Sea. Miyajima’s “floating” torii gate is among the first things you’ll notice when you come across on the ferry from the mainland. The torii gate certainly “floats” during the day when the water is at high tide, and you can get a closer view from the shore of Itsukushima Shrine. However, I only realized that in the late afternoon, the water recedes from the shore during low tide which allows you to walk right up to the giant orange torii gate. The low tide exposes the foundations of the torii gate, which are firmly rooted to the beach “floor,” hence it isn’t really floating (see below). Torii gate aside, Itsukushima Shrine is an important temple. Dedicated to three daughters of a Shinto god, Itsukushima is considered so important that since 1878, no births or deaths have been permitted near the shrine. That means pregnant women on the island, as well as the very sick or elderly who are near death, are expected to leave for the mainland to give birth. On the way from the ferry pier to Itsukushima Shrine is a street lined with shops and restaurants, as well as wild deer wandering all over the place. As with the city of Nara which is well-known for its deer park, the deer here are friendly and curious, walking up to people and letting themselves be fed. Along the coast is a tiny beach which was just a little bit wider than a sidewalk. The most important temple, Daishō-in Temple, is located in a pleasant complex on the lower slopes of Mt Misen. There are several halls as well as dozens of small stone statues and even a small cave hall. 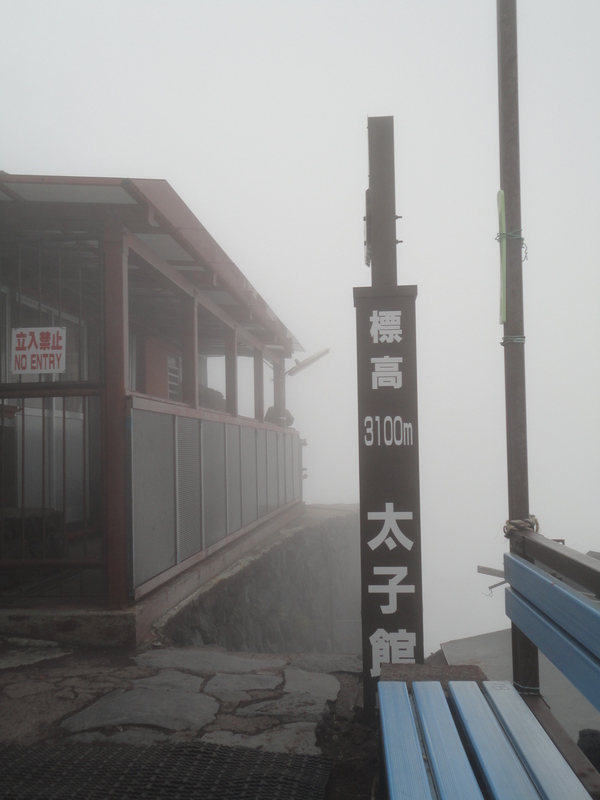 At the back of the temple complex is the start of a hiking path to Mt Misen. 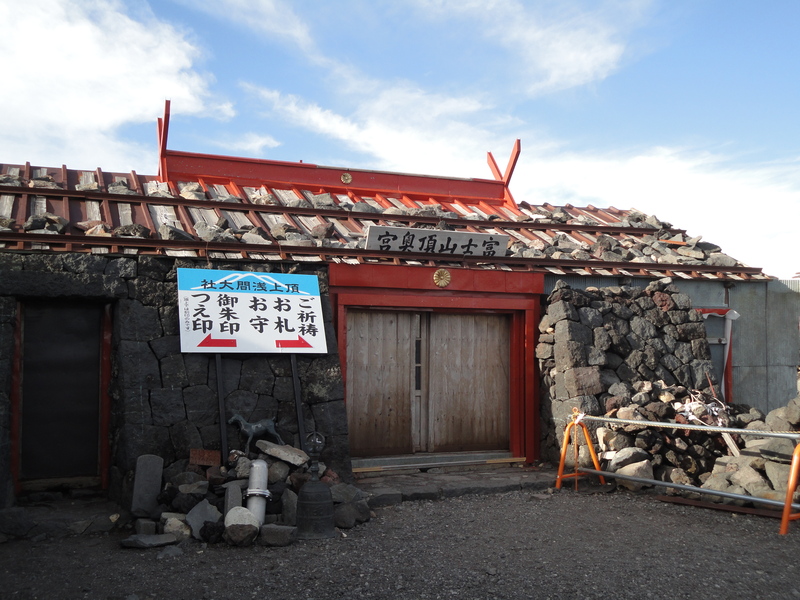 I took this trail, which passes through a waterfall and a few small temples before reaching the top. I write about the hike in a separate post. I also enjoyed visiting Senjokaku (Toyokuni Shrine), a wooden temple with a large, open interior built in 1587. While it was dedicated to Toyotomi Hideyoshi, one of Japan’s three great warlords that unified the nation, Senjokaku’s construction was stopped after Toyotomi died. But I think this state of incompletion adds to the charm of the temple. Its open roomless layout means it’s a good place to sit and enjoy the breeze while taking in the many paintings hung on the ceiling. Next to Senjokaku is a five-storey pagoda that was built in 1407, making it older than Senjokaku. How to get there: Take a ferry from the mainland to Miyajima, which takes 10 minutes. 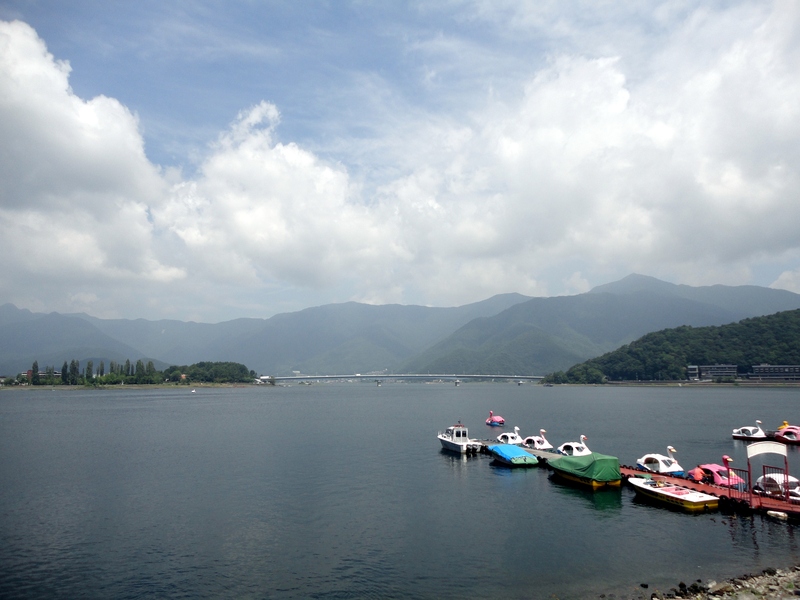 The ferry terminal on the mainland is a short walk from Miyajima-guchi train station. Miyajima-guchi station is a 25-minute train ride (some trains may take longer) from Hiroshima. There is also a direct ferry from Hiroshima to Miyajima. Let’s hope 2018 will be a peaceful, productive and eventful year for us all. Having gotten the frightful political and news lookback at 2017 out of the way in my last post, here is the lighter stuff — 10 photos representing the best of my travels in 2017. I traveled to Malaysia and Singapore for the first time, took a trip from Tokyo to Hiroshima, and went to see Avatar’s Hallelujah mountains for real in Wulingyuan, China. But best of all, I finally took a trip to Canada, where I studied, and Trinidad, where I grew up, to see family. I’m not sure if I would be doing as much traveling in 2018 but I wouldn’t mind. 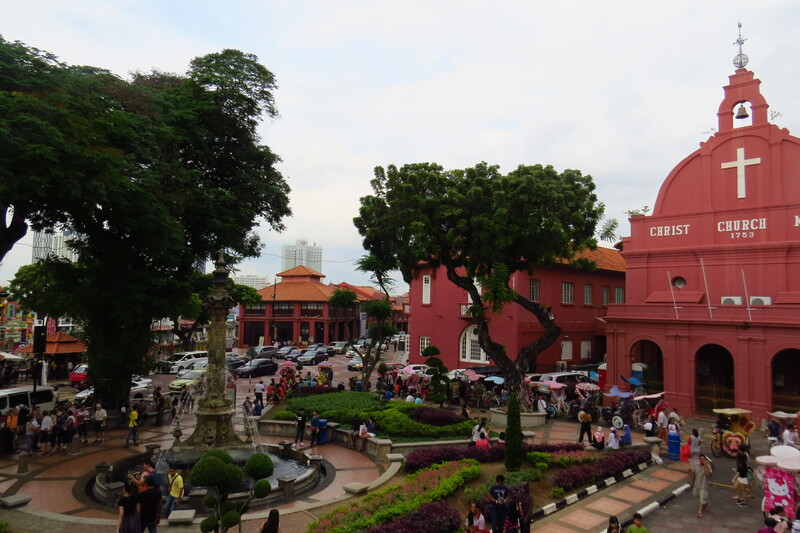 Malacca’s Red Square, Malaysia. More a collection of grand colonial buildings near a roundabout and river, the “square” is still the heart of this elegant former Dutch and English colonial port, one half of a UNESCO World Heritage Site (Georgetown, Penang is the other half). 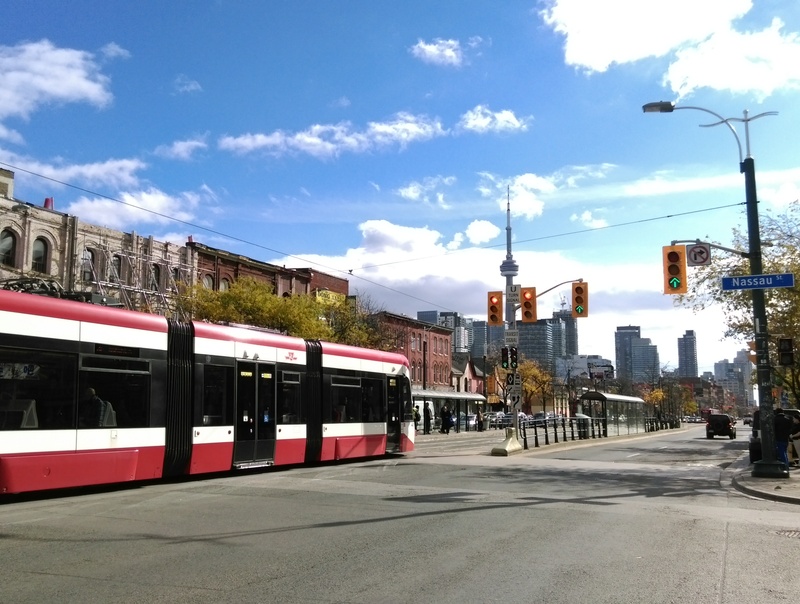 Out of all the different cities I’ve lived in, Toronto remains the best. I took a long-overdue trip to Canada a couple of months ago and while it was mainly for family purposes, I still did a little sightseeing. 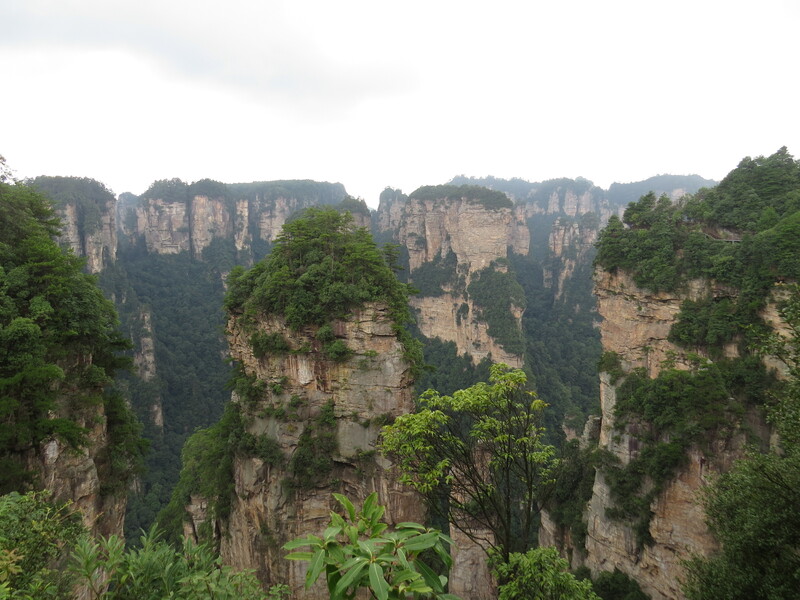 Wulingyuan national park, Hunan, China. The huge 690-sq-km park is full of limestone peaks like this, which the floating mountains in Avatar were based on. While not as well-known as say, Huangshan, this is the best scenic site I’ve been to in China. The island of Miyajima, near Hiroshima, is famous for its floating Torii gate. But the highlight for me was climbing Mt Miyajima and taking in the serene views of the nearby islets and the Inland Sea. As part of that long-overdue trip to the West, I went back to Trinidad, where I grew up. 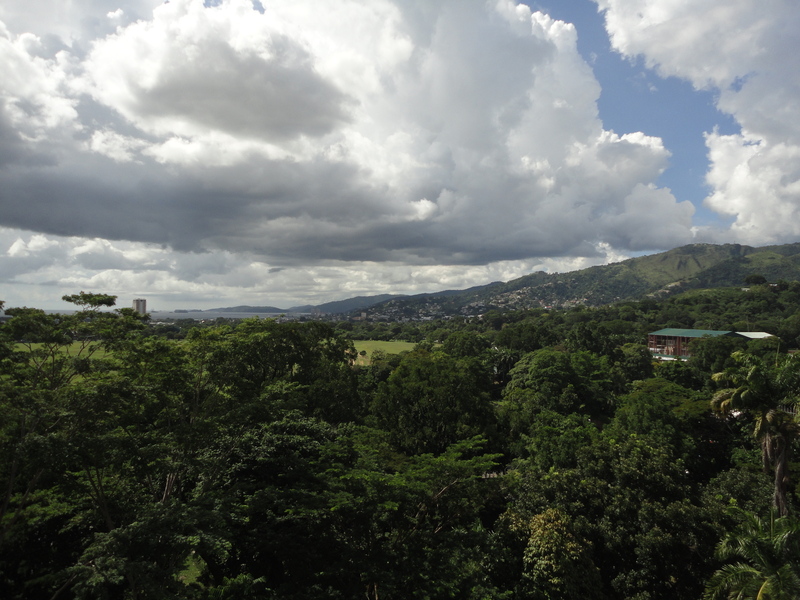 This is a view of part of the capital Port of Spain, the northern hills, the sea (Gulf of Paria) and the Queen’s Park Savannah, a giant park in the middle of the capital and the world’s largest roundabout. While visiting Japan, I went to Matsuyama, the largest city on Shikoku, the smallest of Japan’s four main islands. 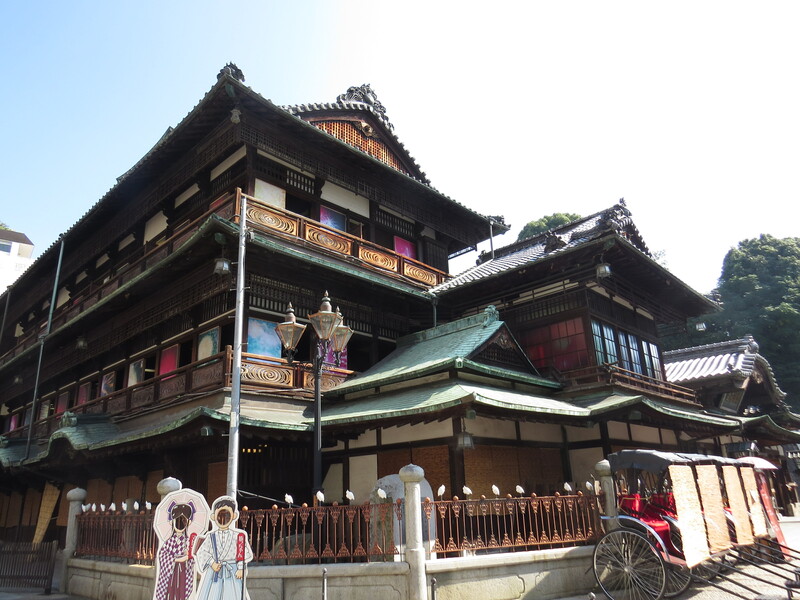 The Dogo Onsen is a bathhouse complex centered on a cool wooden building that looks like a castle. I did go in to take a bath after taking this photo. I’d never been to Vancouver before so it was great to finally visit it. With views like this right next to the city, there’s little doubt why it tops many lists of the world’s best cities. As I was visiting Trinidad for the first time in almost a decade, I played tourist and revisited many places I’d been to as a child or teenager. 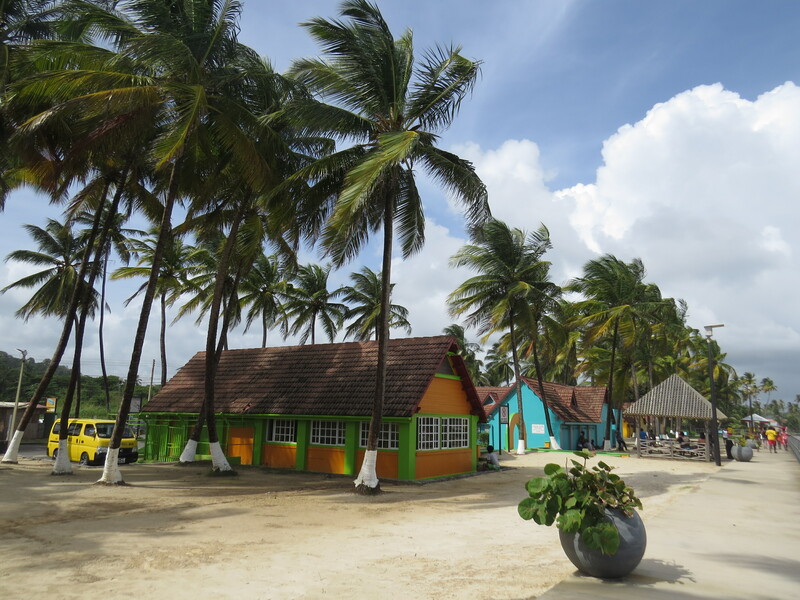 This is Manzanilla, one of the best beaches on the east coast. Despite having seen many skyscrapers, I find the Petronas Towers to be really amazing. Due to their formidable, hefty appearance and the fact there are two of them, they stand like titanic metal sentries of Kuala Lumpur. I made my first visit to Singapore in 2017 and I was impressed by some of their structures like these weird, futuristic towers at the Gardens by the Bay. 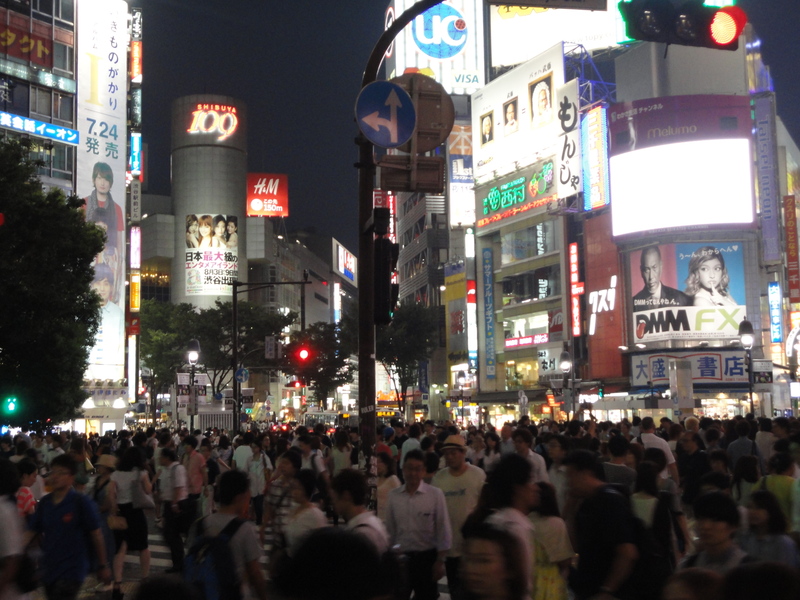 Tokyo has a lot of districts, but the most famous and busiest downtown ones should be Shinjuku and Shibuya. 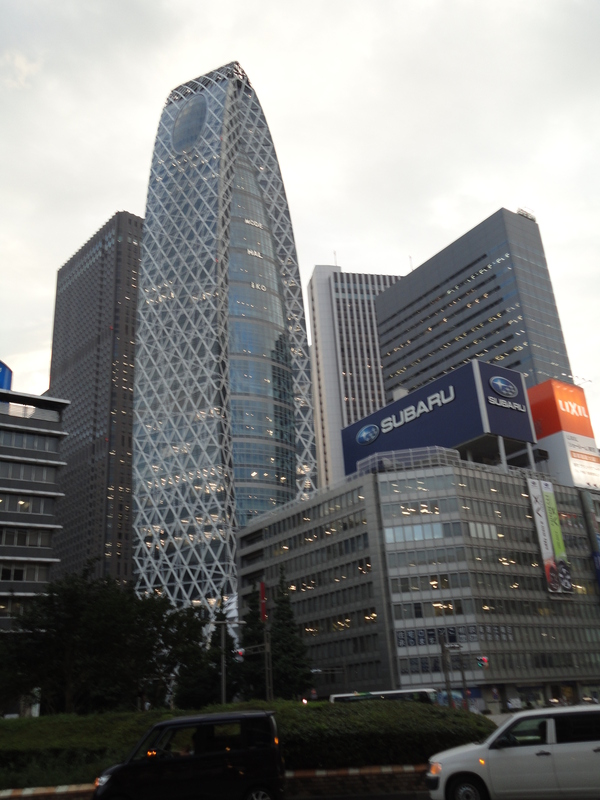 Shinjuku is a large district where the city’s metropolitan government is located, and features some of Tokyo’s tallest highrises. 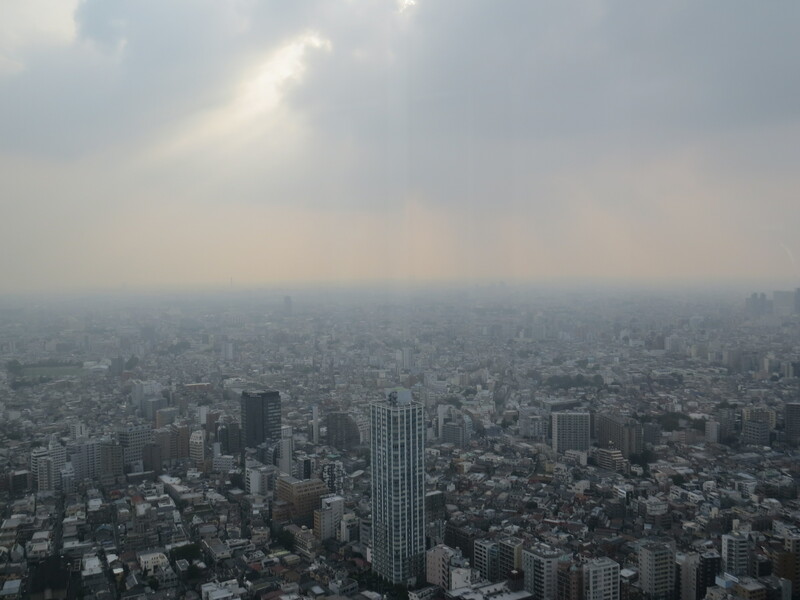 I went up the Metropolitan Government Building tower, which is actually a massive highrise joining together two towers, to take advantage of its free 45th-floor viewing deck. The view was great, taking in neighboring highrises and a vast stretch of the surrounding districts. At night, it becomes this buzz of luminescent activity including clubs, pachinko parlors, bars and even a red-light district, though this isn’t exactly out of place in Japan. Shinjuku subway station is huge, because it consists of different platforms for different lines, and I actually got a little lost – I couldn’t find the platform for the subway to go back to my hotel and kept walking around in circles – and had to ask an employee for help. He couldn’t speak English but he helpfully directed me in the right direction. It remains the one and only time I’ve ever gotten lost inside a subway. 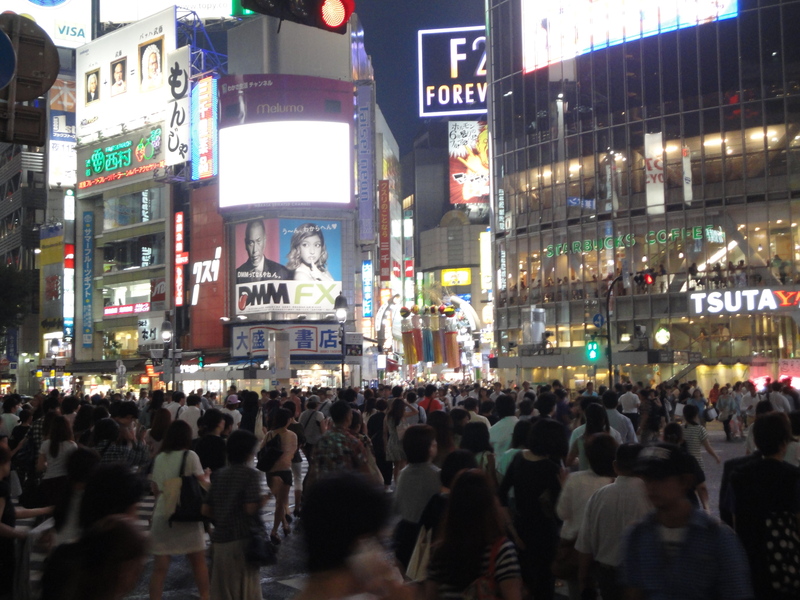 Shibuya is a well-known shopping district but is famous for something weird – a street crossing that is the world’s busiest. That’s because when the lights turn red, pedestrians from several directions converge creating a special sight. I admit I went there in the evening specifically to see the crossing in effect. The intersection is surrounded by brightly lit stores, buildings and large ads that create a spectacle similar to Times Square in New York. I wasn’t the only one there taking pictures though, and there were even a few Western tourists recording it! This crossing was seen in Lost in Translation, the movie with Bill Murray and Scarlett Johansson as two American strangers in Tokyo who become close friends for a few days. Those were also the only two downtown districts I visited since with only four days, I had to limit which places I went to in this vast city. 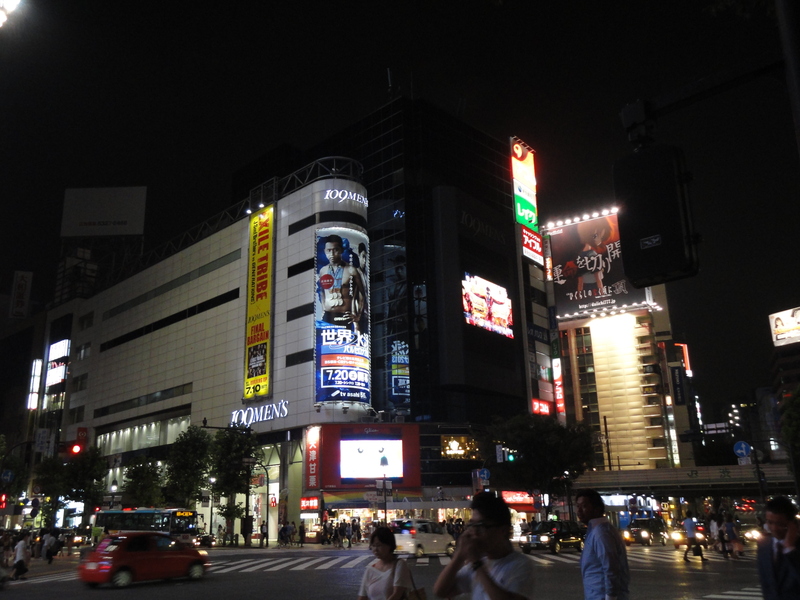 I also dropped by Akihabara, the famous tech and manga neighborhood, twice, but didn’t spend too much time there. I saw the manga and maid cafes, with girls dressed as maids handing out flyers in the streets, and I went into a couple of stores. My flight back to Taiwan was on AirAsiaJapan at 7.45 am, so I had to race to take the subway and then the airport bus to make it on time or face having to take the taxi which would have cost about US$200. I arrived with just about an hour to spare, but I wasn’t the only AirAsia passenger to do so since the line at the counter was really long. The flight was uneventful but I remember the flight attendants were very, very attractive. So, this is it for my 2013 Japan trip series. Thankfully, I’ve finished it before the end of 2015! 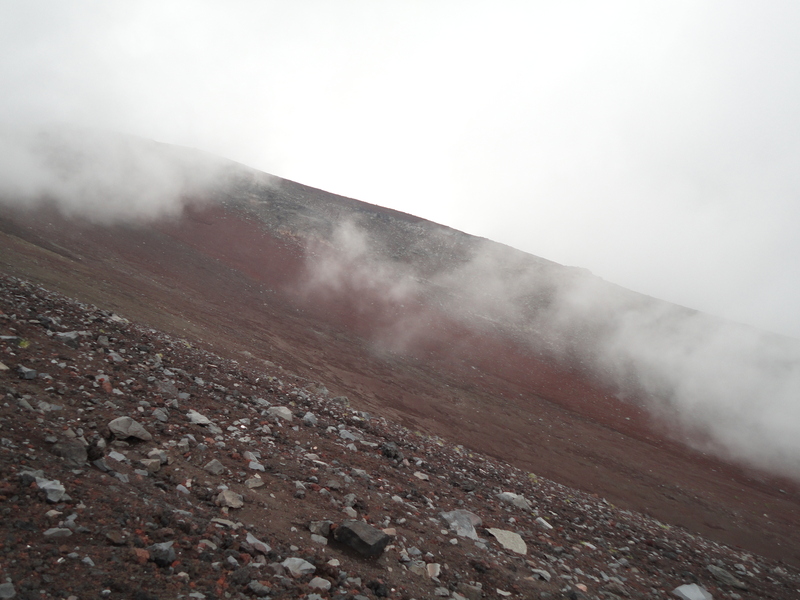 Here are more photos of Mt. 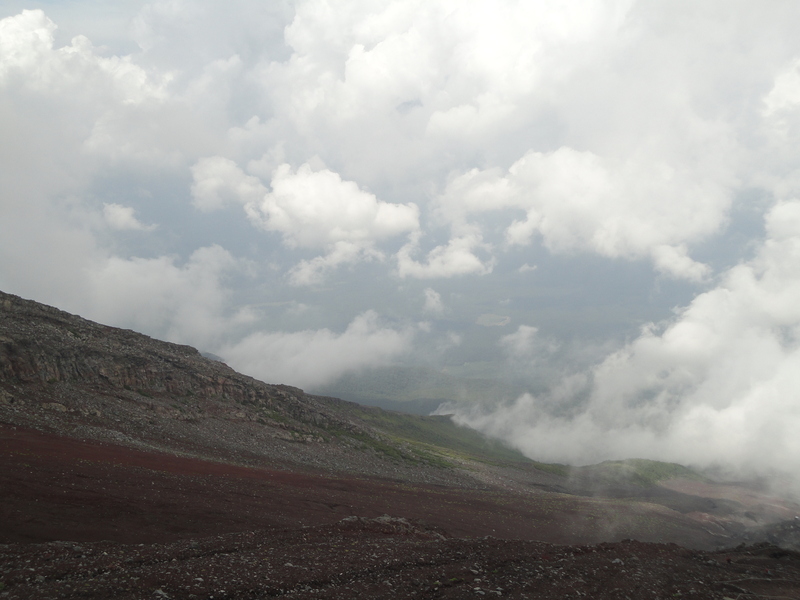 Fuji and Lake Kawaguchiko, which lies near the foot of the mountain. 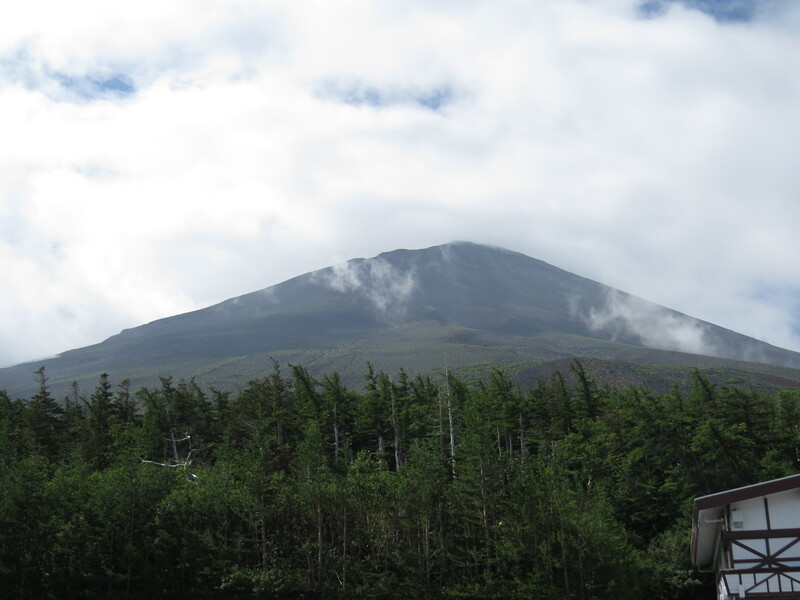 Japan’s most famous natural symbol is the mighty Mt. 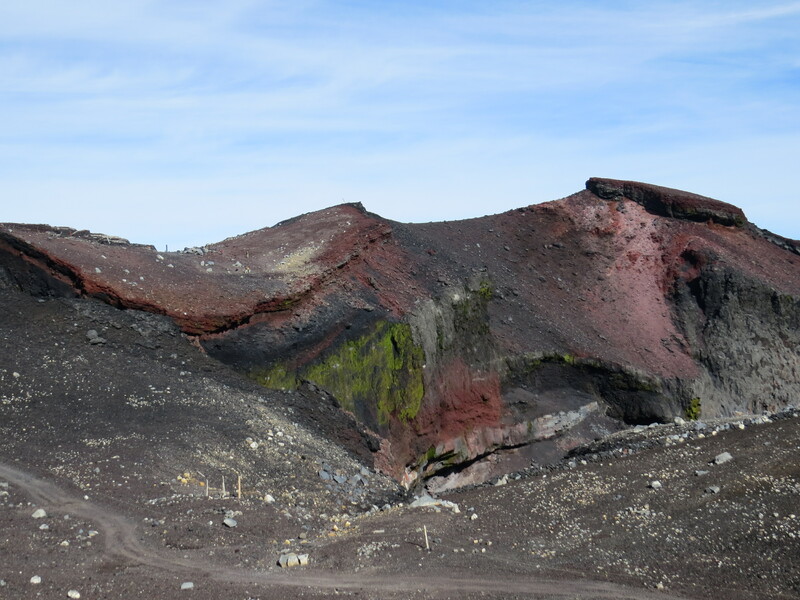 Fuji, whose almost-symmetrical snow-capped cone is a familiar sight in photos and pictures. 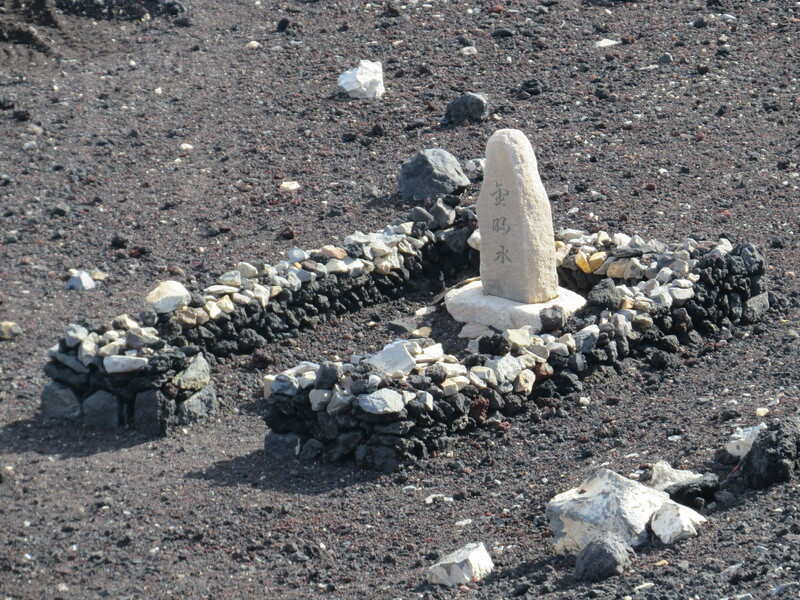 Rising over 3,776 meters, its famous reputation extends far beyond the country. 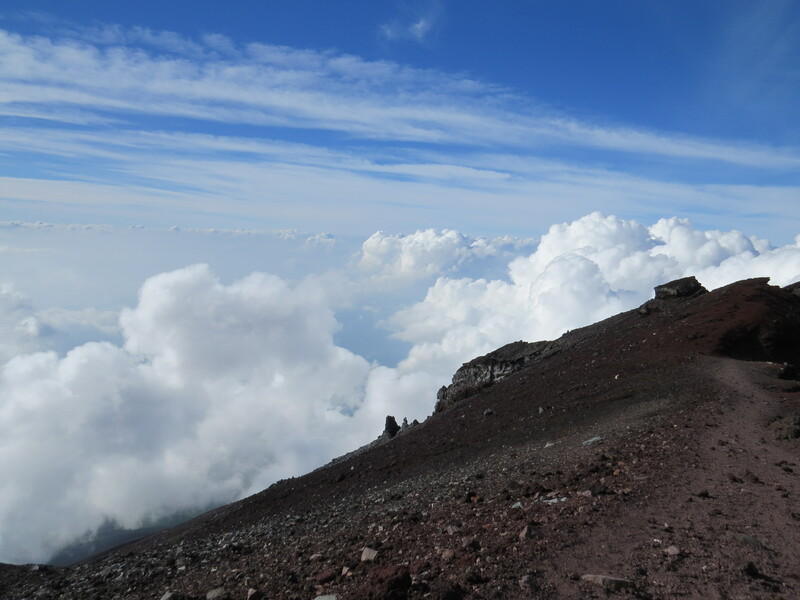 Towards the end of my 2013 trip to Japan, in what is perhaps one of the few major achievements in my modest life, I climbed it. 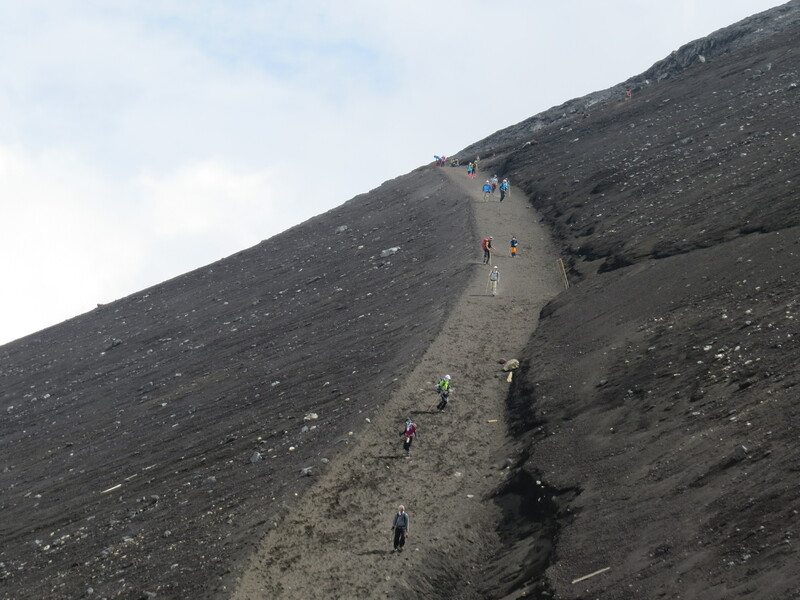 It was the perfect height – spectacular enough to be one of Asia’s highest mountains, but able to be climbed in one day. 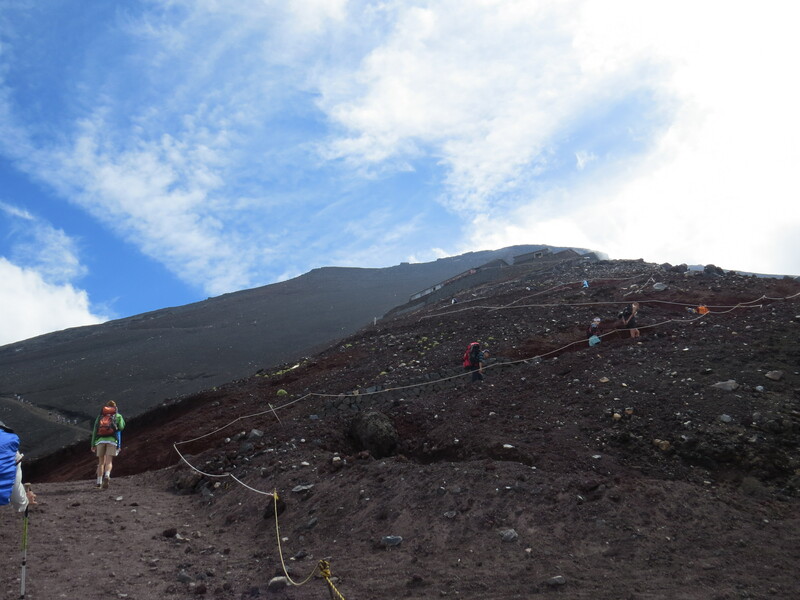 It wasn’t easy as it took me about 6 hours to reach the top, 1.5 hours to walk around the crater at the top, and 3 hours to get back down. 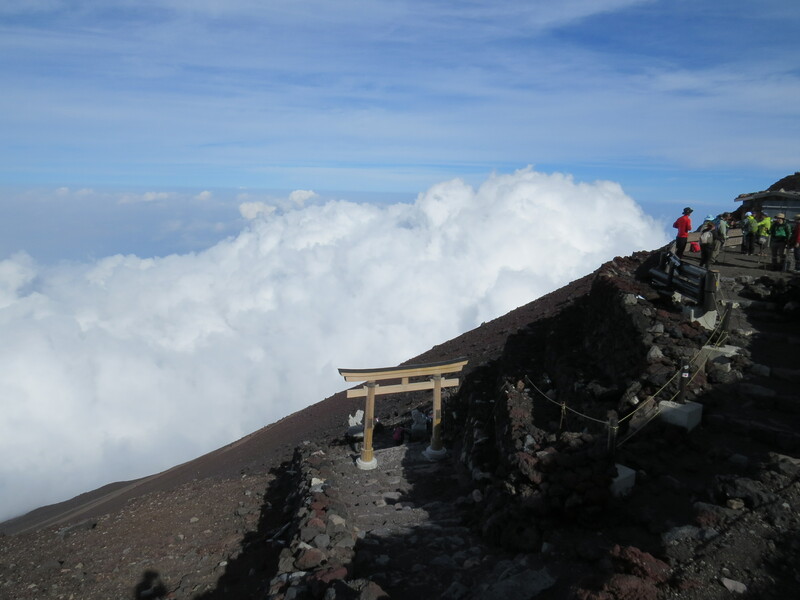 I have to clarify that I didn’t climb it from the ground, but midway from the 5th station on the Yoshida Trail, the most popular of the four trails on Mt. Fuji. This isn’t cheating though, almost everyone who climbs it does it from that point. 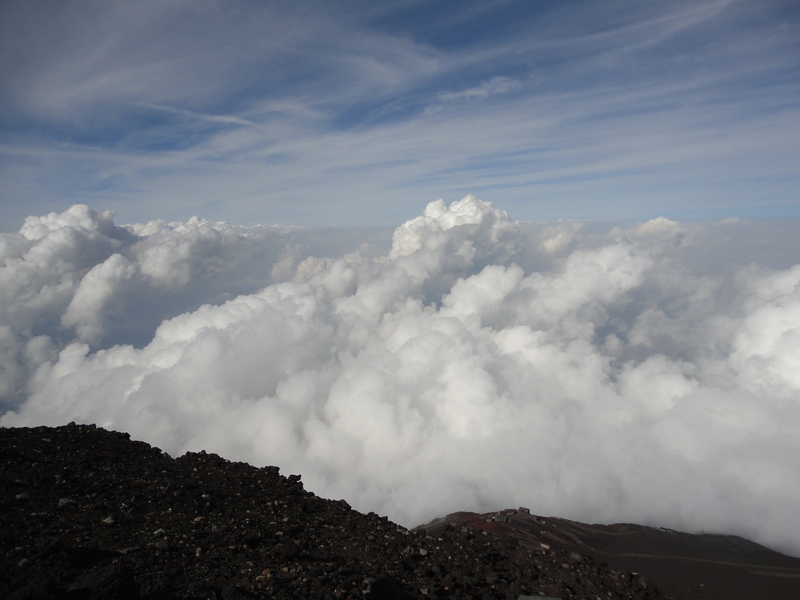 After I got to Tokyo, I spent one day there then went to Mt. Fuji. 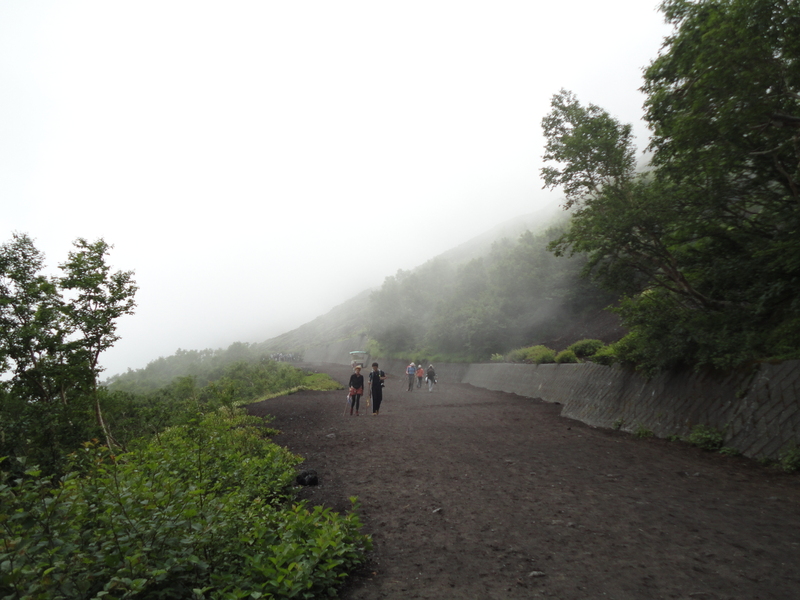 Rather, I took the night bus to Kawaguchiko, a small resort town at the foot of Mt. 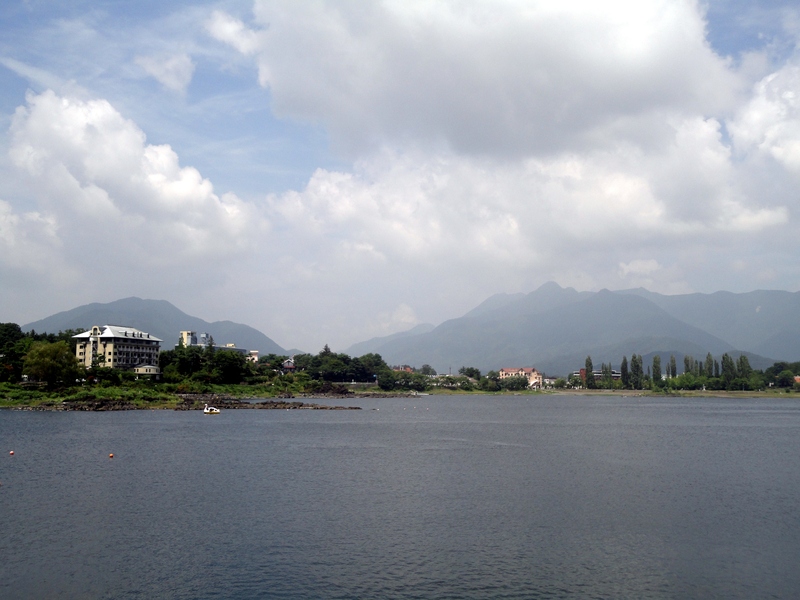 Fuji which also borders a lake of the same name, and checked in at a hostel just across the station that I had prebooked. 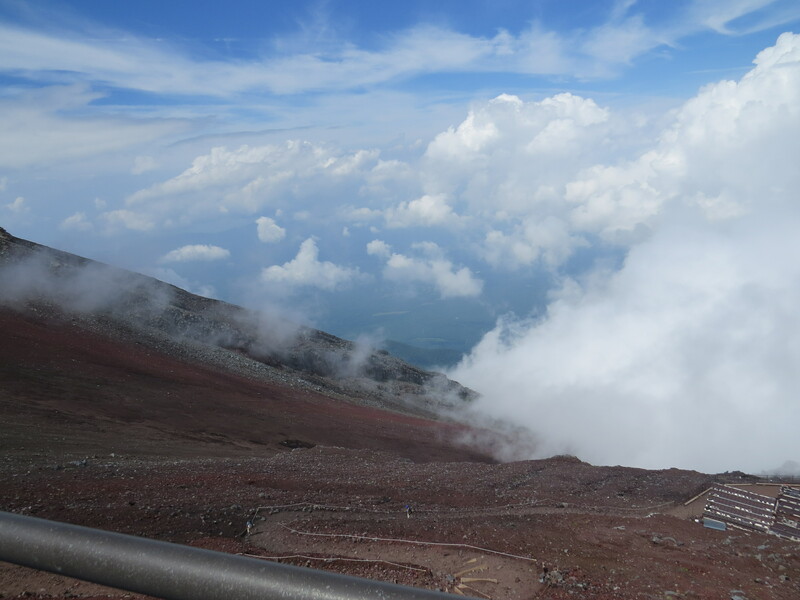 The next morning, I took the bus up to the Fuji Subaru 5th station, which is a large rest area on the mountain with several stores and washrooms. I started off on a wide gravelly path along the Yoshida Trail, the most popular of the four different trails that go up from different directions and intersect near the top. However, coming down, you do need to be careful to go down the correct train. There were a lot of people, some of whom were coming in the opposite direction who’d probably climbed down after viewing the sunrise on top. Mt. 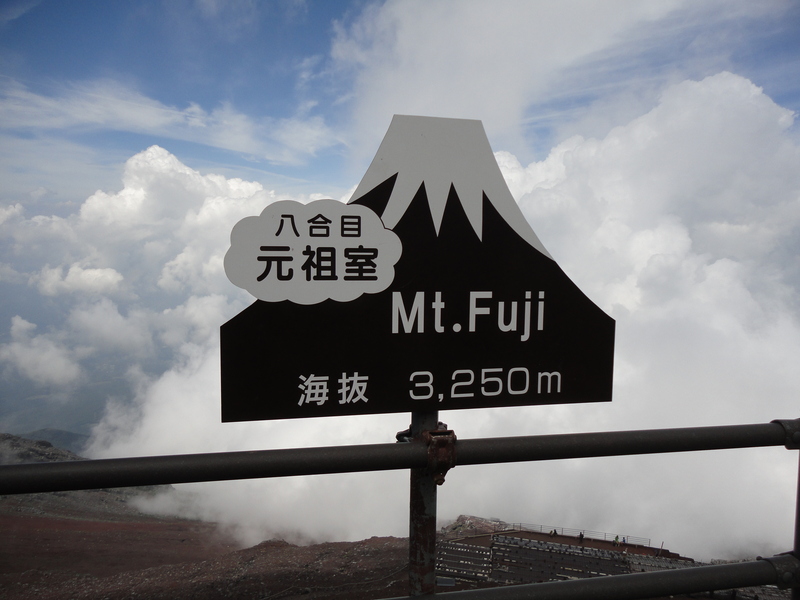 Fuji was one of the few places I saw a fair number of foreigners during my Japan trip. 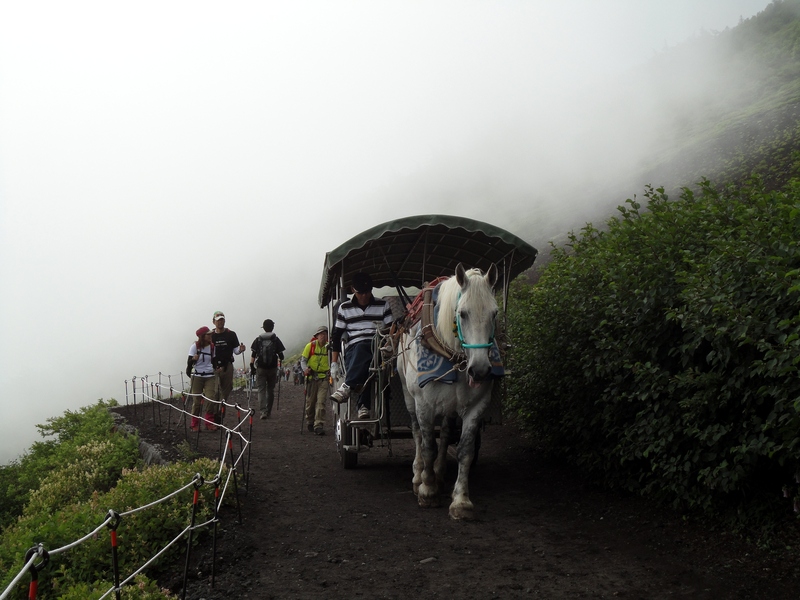 There were even horses carrying lazy hikers further on to a certain point. 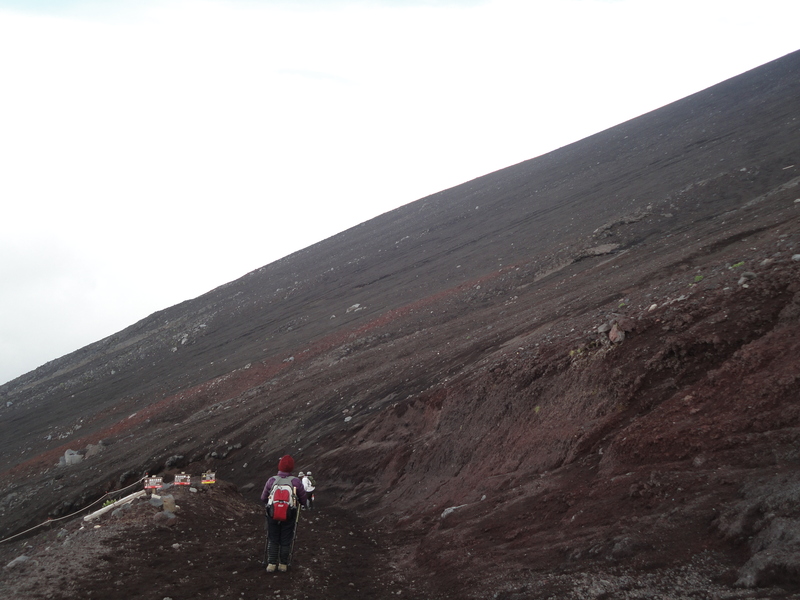 The path got steadily steeper, narrower and rockier and darker. 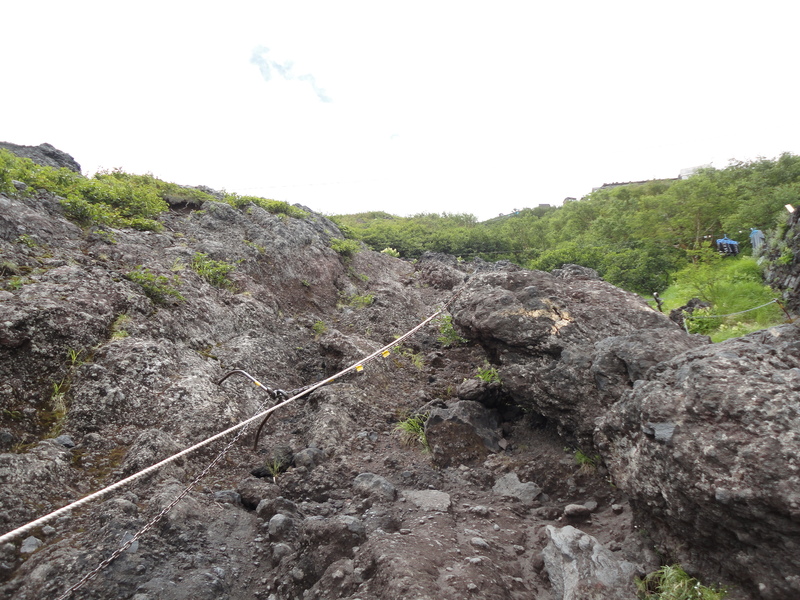 The higher you go, the less vegetation there is until eventually it’s all bare soil and rock because Mt. 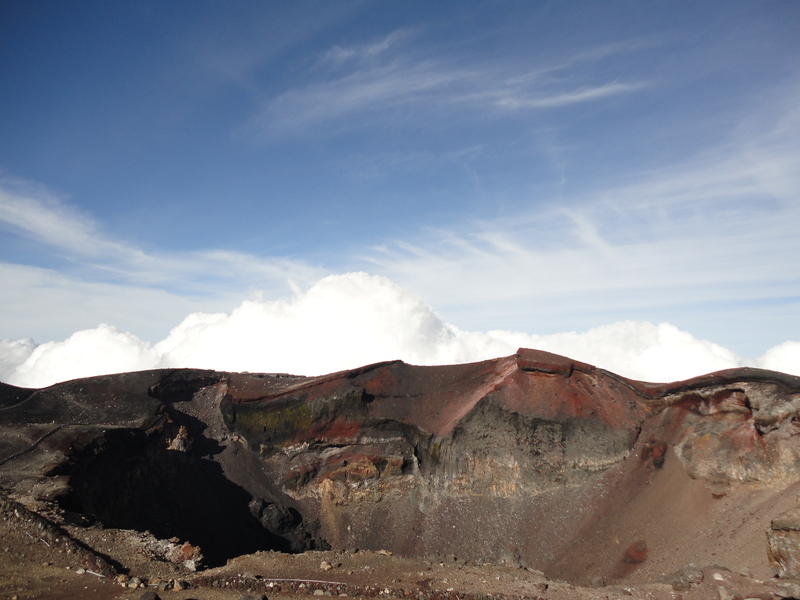 Fuji is a volcano. 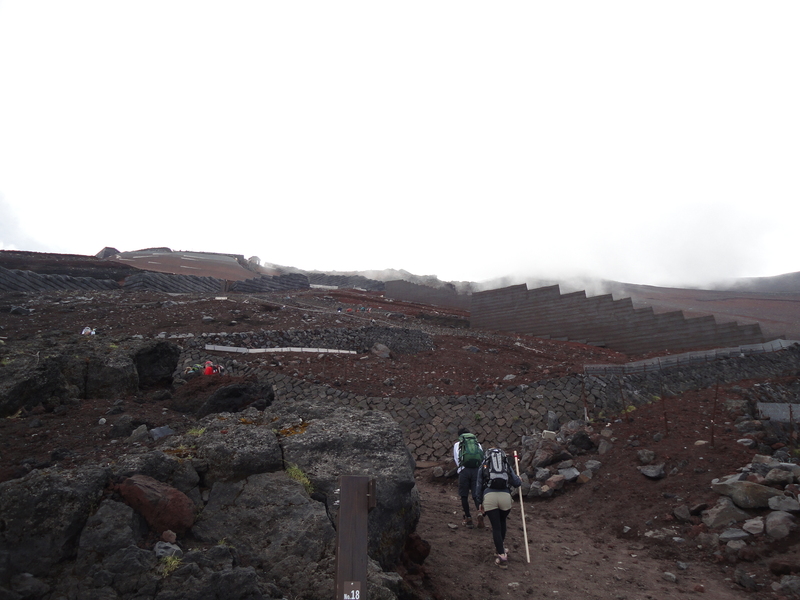 I’d started from the 5th station so there were 3 more stations to pass until the top. At each one, there were benches, toilets (you had to pay to use but they were rather clean), and even huts that travelers could sleep in. 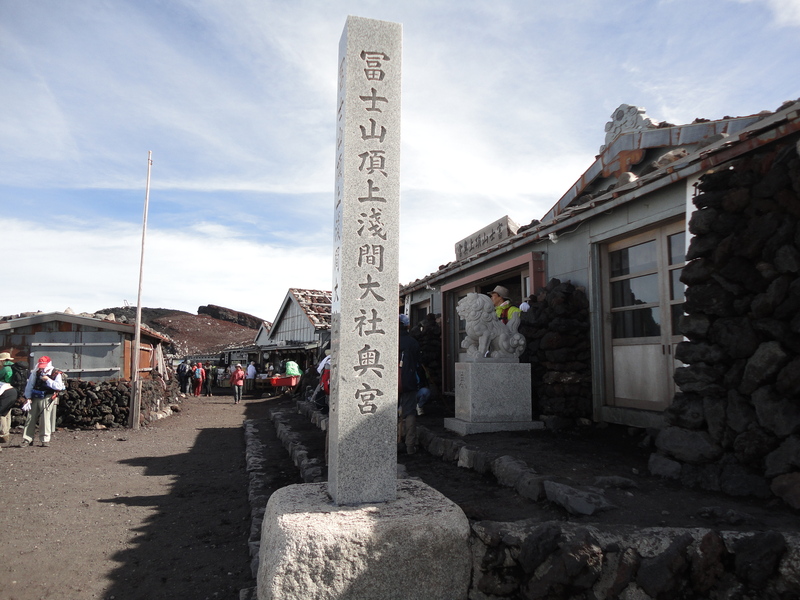 There was always a lot of people, both Japanese and foreigners, along the trail. I even passed a few Hong Kongers including one family, who I’d bump into later. While it was still summer and hot on the ground, it was a little cold on the mountain, which was the highest mountain I’d ever been on. The ground was desolate; there was no trees or vegetation and the soil was red. From far off, Mt. Fuji looks great but up close, it was ugly but majestic. 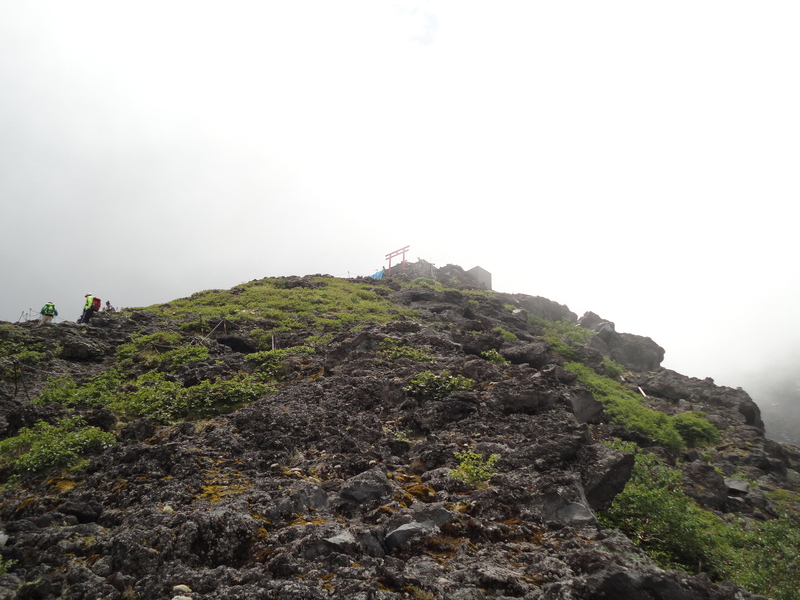 Climbing the mountain is not technically difficult as there are clear trails and steps, but it was extremely tiring and I had to stop almost every 10 minutes or so. 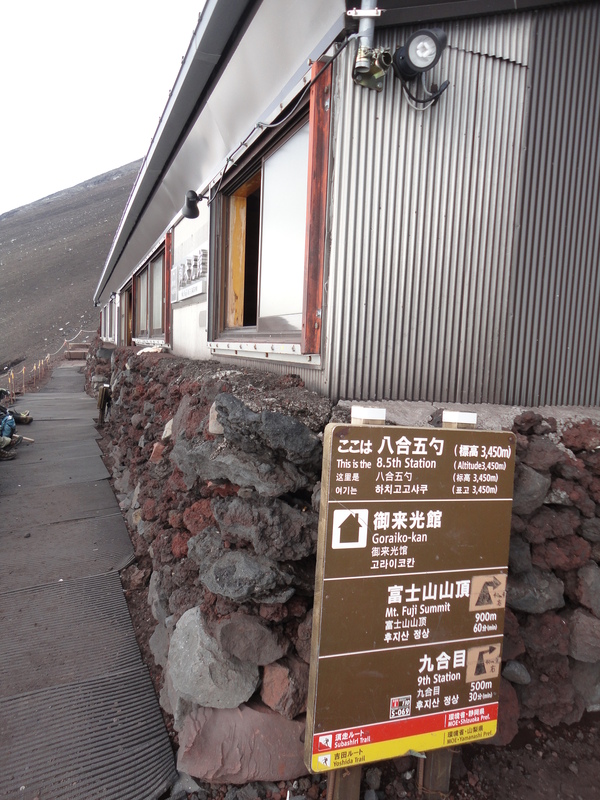 There were signs along the way and at each station showing how much more meters to go before reaching the top which provides a small psychological boost. 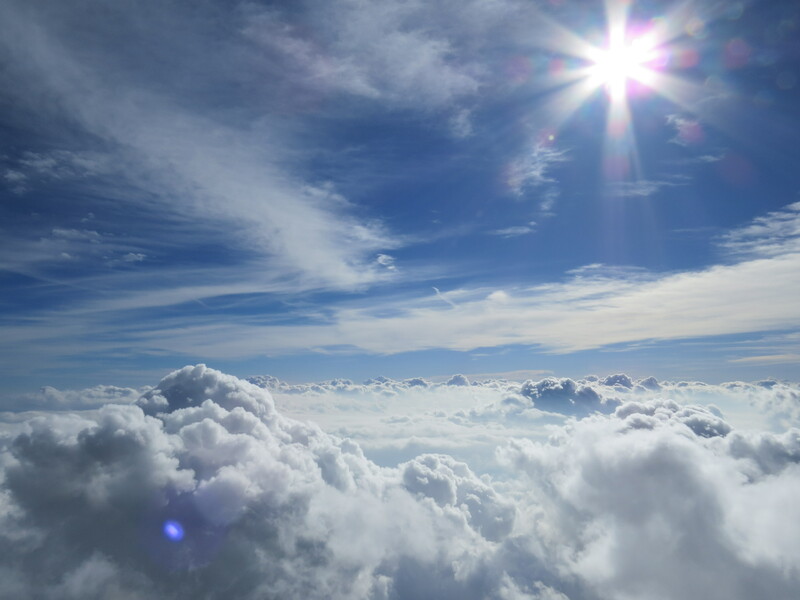 It was a cloudy day and when I got high enough, the clouds were below me and often shrouded the land below so I couldn’t see it. After what seemed an eternity, the top came into view. I told myself I’d soon be on top and I did, but that last bit was one of the hardest. 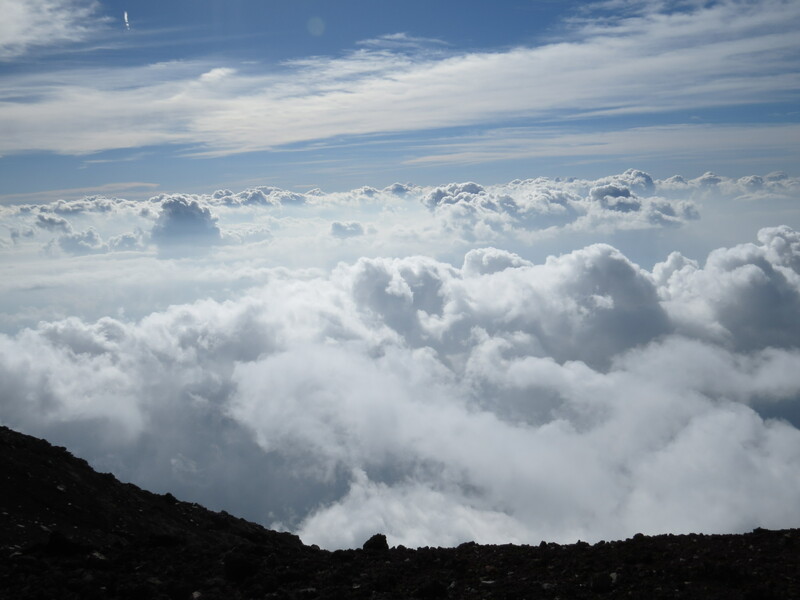 It was great when I finally reached the summit; the sky was blue, the clouds formed an impenetrable layer around the mountain, and I was literally above the clouds. It was one of the most fantastic sights I have ever beheld. 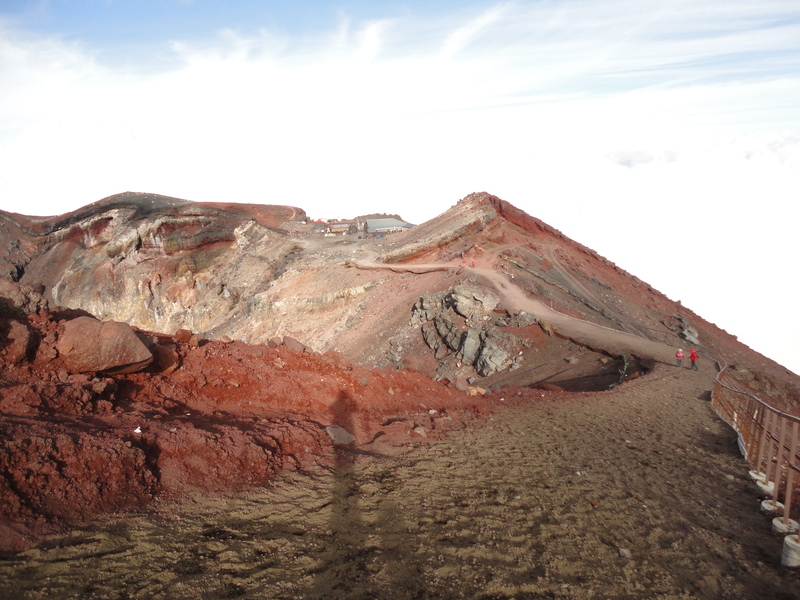 The summit isn’t a single spot, but a large crater which requires over an hour to walk around. The absence of any vegetation and walking on red earth surrounded by bare rocky slopes almost felt like being on the moon or someplace not on this earth. I’d started the hike at about 10 in the morning and I reached the top at 3.30, so by 5, I headed back down. 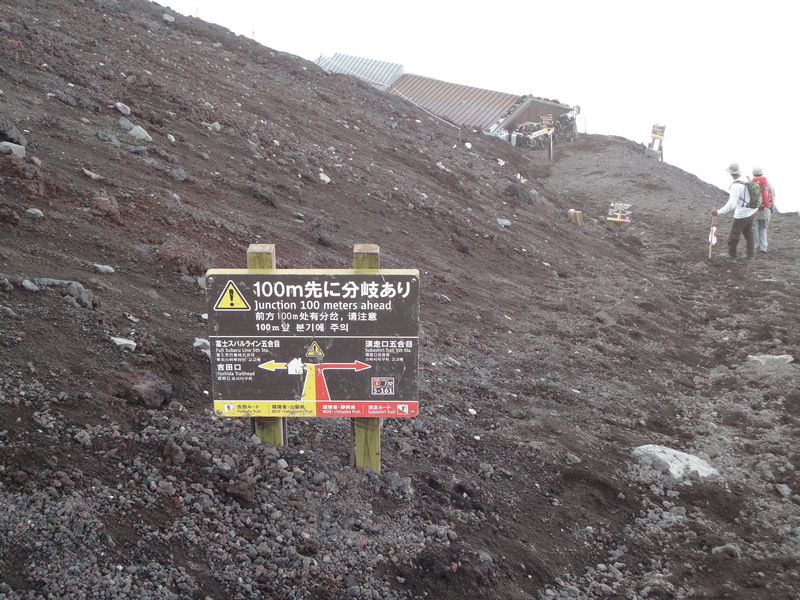 The trail down was initially on a different path from the one going up, and at one point, it splits into two with one continuing on the Yoshida trail and the other to a different trail, but this is clearly marked by signs that explicitly warned climbers not to confuse the two trails. The trail down was very loose and almost sandy, so at times it was possible to jog down. Lower down, I ran into a HK family of three who I’d met near the top and we passed each other several times again. It was a good thing because it was getting dark and just before we reached the fifth station, we took a wrong turn that resulted in me asking a park employee who spoke no English, and the family having a small dispute, shouting in Cantonese. It was a little desperate because we had to catch the final bus at the fifth station down to Kawaguchiko which left at 8.30, but we ended up doing so with some time to spare too. We were actually staying at the same hostel too, but on different floors. After saying goodbye, I took a soak in the hostel’s hotspring spa. The next morning, I walked to Lake Kawaguchiko which was about 20 minutes from my hostel, did a short stroll enjoying the scenic lake, then headed back and took the bus back to Tokyo. It was misty at times. 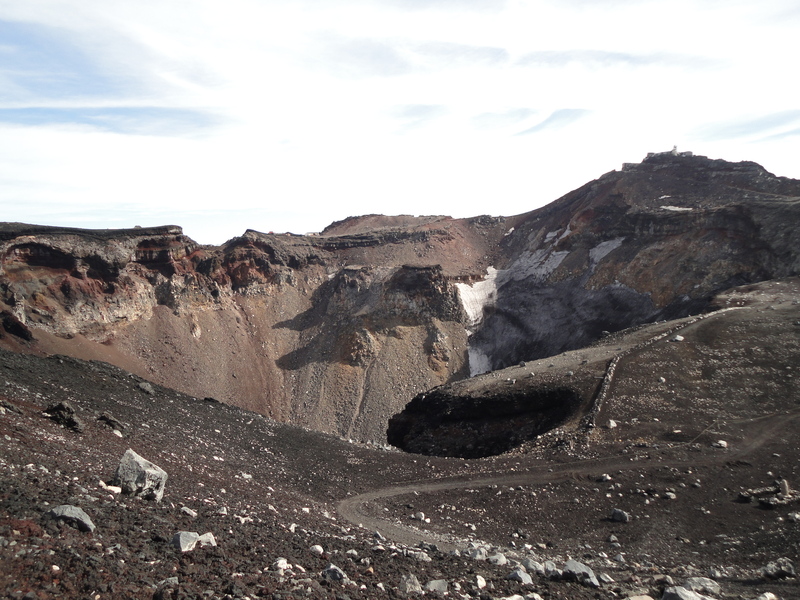 The summit features large craters which take at least an hour to walk around.